Yeah, but: With my best Gob imitation: C'm on! 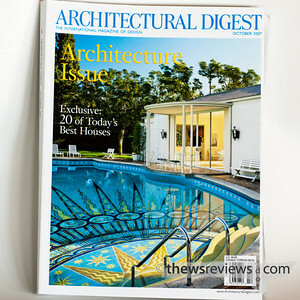 The Long Version: In October, Architectural Digest publishes a special Architecture Issue. (The 2009 table of contents is here, a 2008 copy is for sale here, the top photo is my copy from 2007.) I'm trying to come up with a reaction that's beyond "what, seriously?" but I'm having a hard time being original on this one. For what it's worth, I haven't really noticed much difference in the content versus their non-architecture issues, so perhaps they're just giving some of their editorial staff a month off.